Welcome New & Renewing Members! 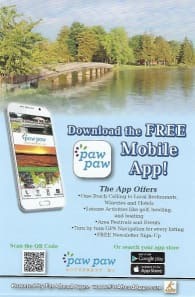 to find additional information about all things in and around Paw Paw, MI! © Copyright 2019 Paw Paw Area Chamber of Commerce. All Rights Reserved. Site provided by MicroNet - powered by ChamberMaster software.